Iron Man (Marvel Comics) - 20?? This was one of those experiments I was toying around with. 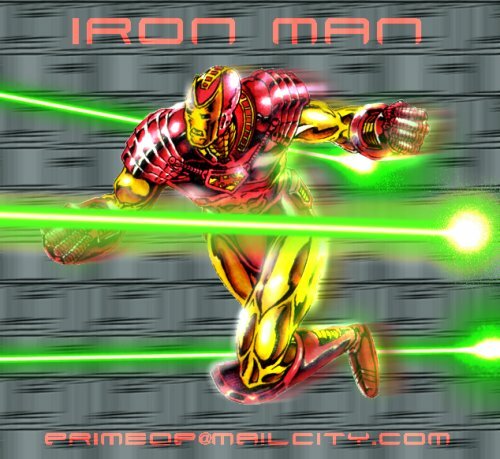 The Iron Man actually comes from one of the last 'cutout' pictures I did where I'd draw a bunch of characters on a sheet, get them copied, cut them out, color 'em with markers and place them on airbrushed backgrounds. I believe this is the armor that Iron Man wore as soon as he returned from that 'Heroes Reborn' event.